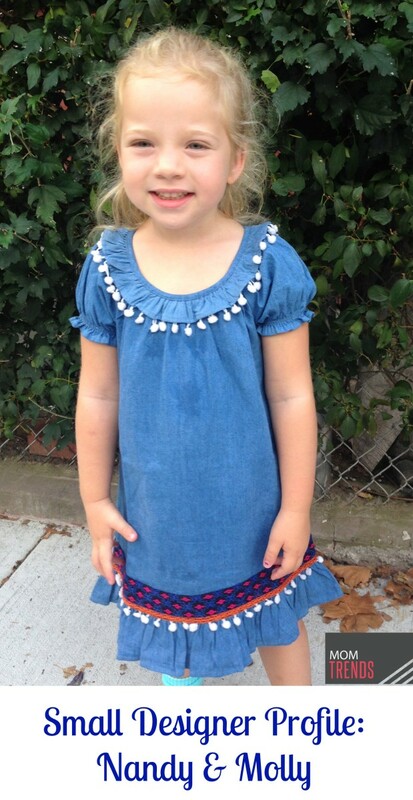 We just discovered the sweetest new girls&apos; clothing designer with Nandy & Molly. Based in NYC, they feature a mix of on-trend and sweet pieces for girls including their current fall/winter collection that is inspired by the Himachal Pradesh and Kashmir regions of India. This includes pieces that pay tribute to traditions with geometrical prints and beautiful embroidery. 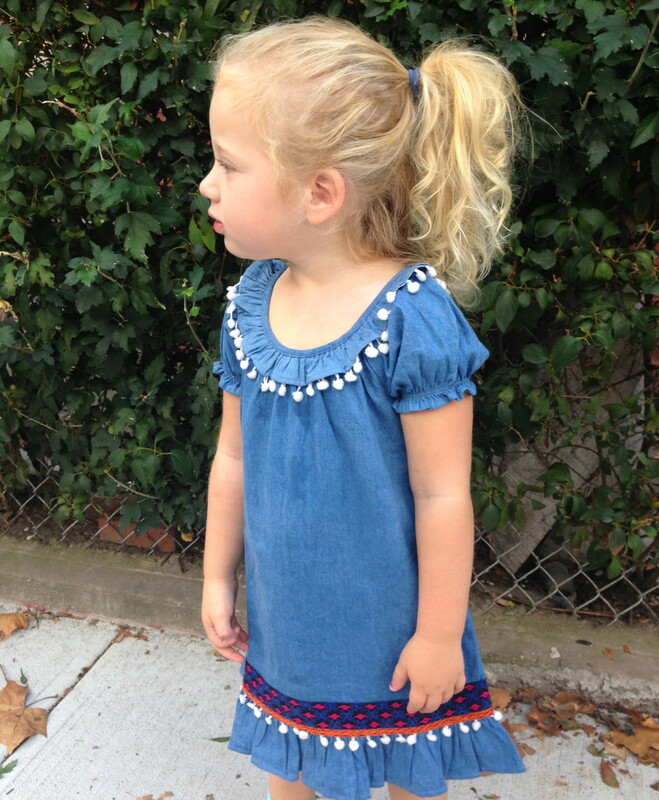 We recently tested out the gorgeous denim nilima Pom-Pom dress that featured a beautiful print and cut that was perfect for school. Featuring whimsical styles and comfortable fabrics, she loves the pom-poms and sweet patterns that make this dress so unique and special. Created by two friends, Molly and Richa, the Nandy & Molly line fuses the style of India (where Richa grew up) and Charleston (where Molly grew up) that truly embodies a sense of culture and creativity that explores the cohesion between artisan Indian techniques and a beachy, southern style. Designed in New York City, the garments feature embroidery techniques and printed fabrics from different regions of India. This includes a mix vibrant colors, patterns and prints using 100% cotton for a comfortable fit. 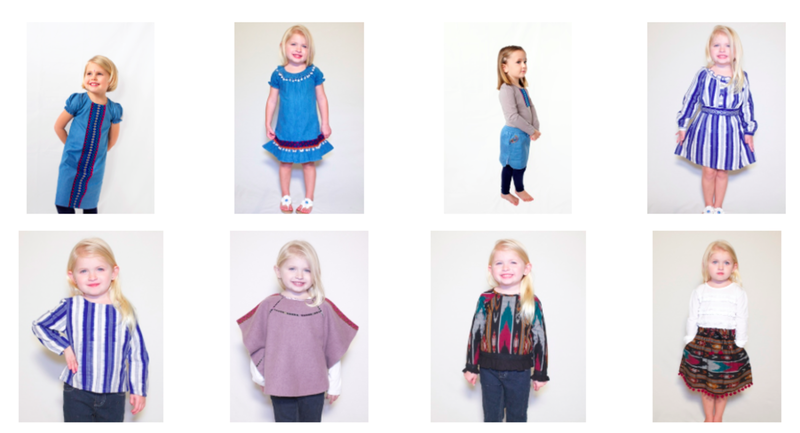 A thoughtful brand with beautiful designs, we love how Nandy & Molly combines a mix of legacy, history of India&apos;s folk art, and bohemian style that is perfect for every girl.